A tort is a wrongful act resulting in injury or damages, for which the civil law provides that the injured person (or the person suffering damages) may seek recovery from the person who caused the injury. The person or “party” who suffers harm from the wrongful conduct of another is known as the plaintiff or claimant. The person or “party” who caused the injury is known as the defendant or tortfeasor. The lawsuit is called a “tort action”. There are three elements of a tort action, which are often referred to as the three-legged stool. All three must be present to have a valid claim. These are (1) a duty; (2) a breach of that duty; and (3) damages resulting from the breach of that duty. The plaintiff must show that the defendant was under a legal duty to act in a particular fashion; that the defendant did not act according to that duty (or “breached” that duty); and that the plaintiff suffered injuries or losses (damages) as a result of this breach. Whether a defendant violated a duty owed to plaintiff is determined by the common law or by statutory law. The common law is the general body of law that has developed over many years through court decisions or “opinions”. In the United States, this “common law” sometimes even goes back to the common law of England. Statutory law is the body of law established by written laws passed by the legislature. When a party has suffered damages from the tortious or negligent conduct of another party, the damaged party can bring a claim for monetary damages. Negligent conduct is an act or failure to act using ordinary care. Ordinary care is the care a reasonable person would have used under the circumstances. If a person is injured in an automobile accident, the damages would usually include medical expenses, lost wages due to being unable to work as a result of the injuries, and also pain, suffering and inconvenience. There may also be a claim for future losses. These types of damages are called “compensatory damages”, as the recovery for these items is intended to compensate the person who has been injured. In addition, punitive damages may be sought in appropriate cases. Punitive damages are damages intended to punish the tortfeasor and also send a message to the community that the tortfeasor’s conduct will not be tolerated in the community. Punitive damages are only allowed when the tortfeasor’s conduct is more than just negligent, that is, more than just the failure to use the ordinary care that a reasonable person would have used under the circumstances. In Virginia law, there are two basic circumstances when punitive damages are available. First, when the tortfeasor has acted with actual malice towards the plaintiff. Second, when the tortfeasor has acted in conscious disregard to the plaintiff’s rights, or has acted with reckless indifference to the consequences of his conduct when the tortfeasor is both aware of his conduct and is also aware that his conduct would probably result in injury to another. Even if a party has been injured by a negligent party in order to prevail in court the injured party must himself be free of fault in the accident. In Virginia, any negligence on the part of the plaintiff will bar a recovery. This is called “contributory negligence”. Virginia is one of only a very few states that still have this rule of law. A tort action can be filed in either General District or Circuit Court depending on the amount of the claim. Any claim for $4,500 or less must be filed in the General District Court. Claims for more than $4,500 and up to $15,000 can be filed in either the General District or Circuit Court. Claims for more than $15,000 can only be filed in the Circuit Court. 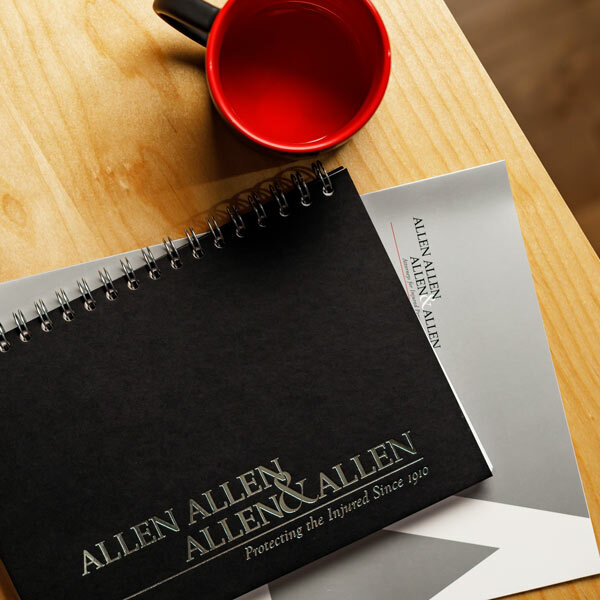 About the Author: Melidna H. South is the “go to” person for answers to legal questions regarding Virginia and national case law, state and federal safety regulations, and building and fire codes at the personal injury law firm of Allen & Allen. Melinda is based in the Richmond, Virginia branch.